Elliot Murphy recently won the prize for best poster presentation at the 18th International Symposium on Homogeneous Catalysis in Toulouse. 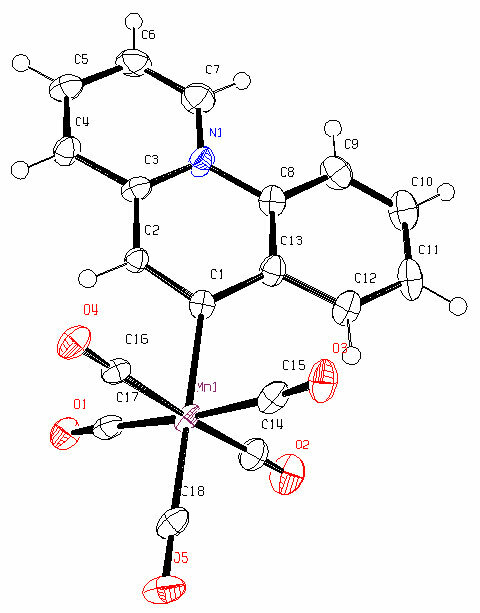 Elliot’s poster described his work on developing a new class of extremely strong sigma donor carbene ligand based on Benzo[c]quinolin-6-ylidenes (Mn complex illustrated). A manuscript describing this exciting new system has just been accepted for publication – watch this space!